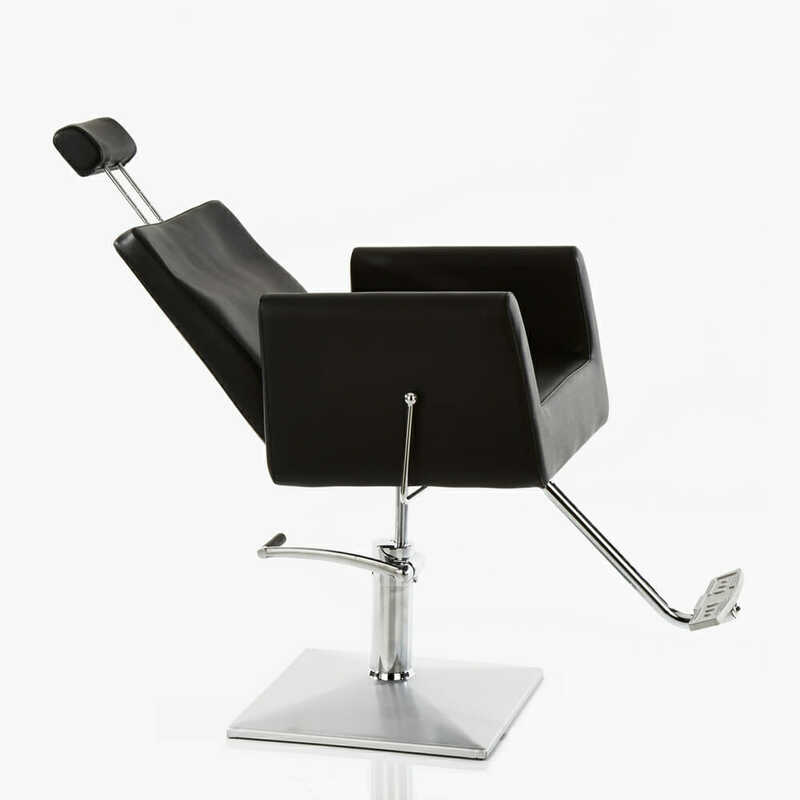 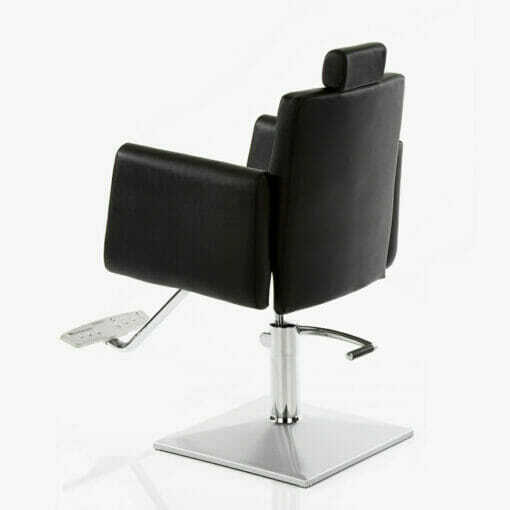 A stylish, practical reclining chair with headrest, footrest and locking hydraulic pump base. 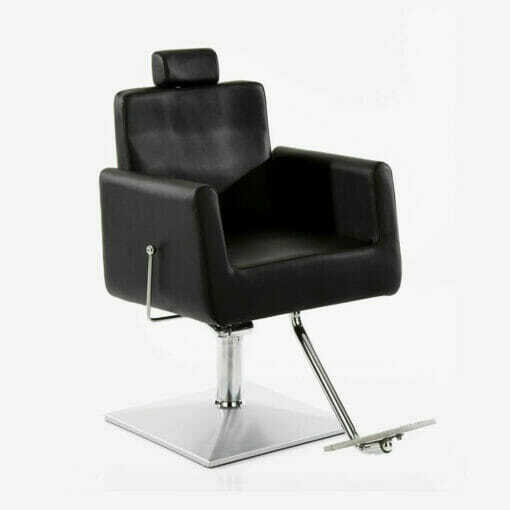 A stylish, practical backwash chair finished in a smooth hard wearing black upholstery with a striking contemporary design. The Cobra features a fully locking hydraulic pump on square chrome base, reclining mechanism backrest with an adjustable or removable headrest for complete client comfort. 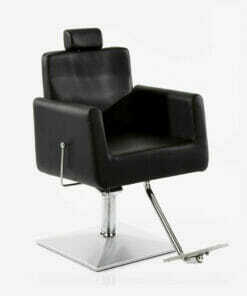 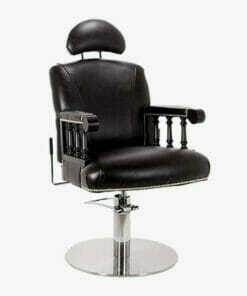 The perfect choice for any beauty salon, hairdressing salon, beauty spa or threading salon. 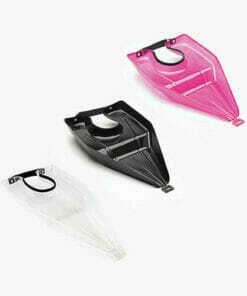 Easy to use, place around customers neck by strap with velcro fastening.